Key question: What could drive further share price upside from here? The banks have performed well YTD, especially after a stellar 1Q17 earnings season that beat consensus estimates as the banks sprang positive surprises in trading (UOB), wealth management (OCBC) and lower provisions (DBS, OCBC). However, with the banks already trading ahead on expected 2018F core earnings recovery, this begs the question: what could drive incremental outperformance from here on? We think the largest delta could come from further property divestment gains. Based on latest figures as of 1Q17, DBS had S$535m in property valuation surplus remaining following its sale of the PwC building to Manulife. OCBC had S$3,874m and UOB had S$4,517m. OCBC was the only bank to list its major properties in its annual report, which gave us a better sense of potential gains on individual property sales. The key property sitting on its books (second-largest in size and market value only after its headquarters, OCBC Centre @ 65 Chulia Street) is Orchardgateway, which consists of a shopping mall and a hotel (Hotel Jen Orchardgateway). Its latest market valuation as of end-2016 was S$1,036m vs. a carrying value of S$538m, which implied a potential gain on sale of S$498m. This alone would add 13% upside to our FY17F net profit forecast and 0.8% pt to FY17F ROE. Insurance subsidiary Great Eastern also owns neighbouring property Orchardgateway @ Emerald and a combined sale will result in larger gains and a greater lift to ROE. 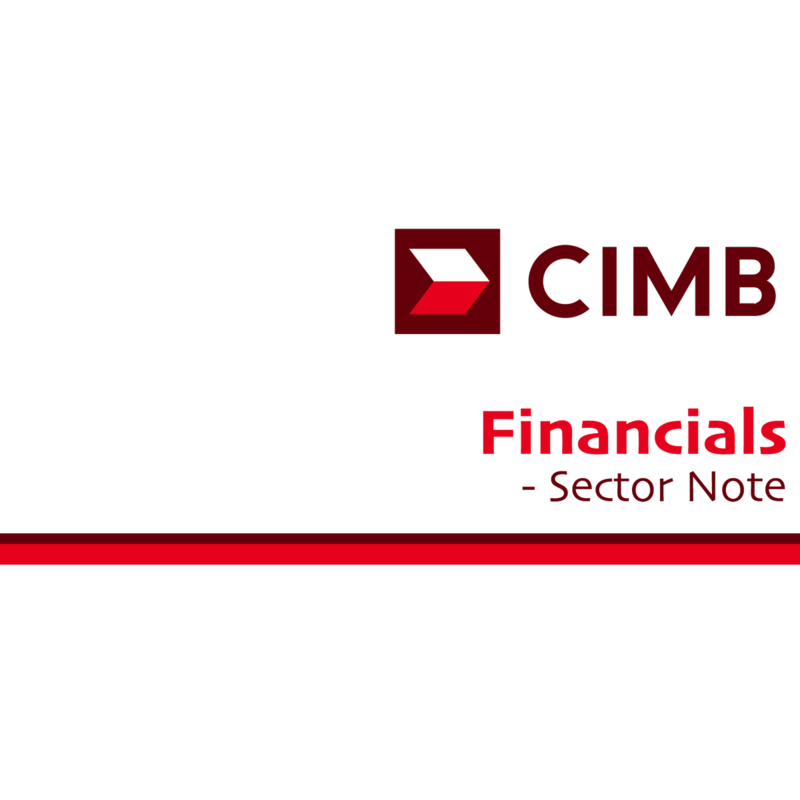 We see tailwinds for NII, driven by further NIM expansion of 2-5bp per quarter in 2Q-4Q17F as the 3M SIBOR/SOR moves up with the Fed funds rate. Loan demand should also improve on the back of our stronger forecast GDP growth of 2.5-3% in 2017F vs. 2% in 2016, which could lead to renewed investment demand by businesses. The recent bottoming out of property prices has resulted in keener interest in the property market and higher-priced transactions, leading to a healthy mortgage pipeline. However, the higher NII could be mitigated by lower fee income and trading after an exceptional 1Q17, which was driven by strong investment appetite as the market switched to risk-on mode. We see most convincing yoy growth in non-NII at OCBC, with the help of the Barclays wealth integration (+US$13bn AUM) and higher insurance contributions as the strong bond market performance this year should drive mark-to-market gains at GEH’s non-par fund vs. losses in 2016. On the asset quality front, we are comforted by guidance of stabilising credit costs at OCBC and UOB as most of the chunky specific provisions required for oil & gas exposures have already been taken. OCBC guided for an average quarterly run rate of c.30bp in credit costs to be sustainable while UOB expected to maintain credit costs at its usual 32bp. That said, we project more chunky provisions at DBS for ‘specialised vessels’, which likely refer to the Lewek Constellation owned by EMAS Chiyoda Subsea. As such, we forecast an average 37-38bp in credit costs at DBS over 2Q-4Q17F. Upside/downside risks to our earnings forecasts could come from more/fewer US Fed rate hikes (higher/lower NIM), stronger/weaker investor sentiment (higher/lower wealth management income and trading) and a sustained recovery/prolonged drag in the oil price (writebacks in oil & gas provisions/further writedown of vessel collateral values). We find comfort in stabilising credit cost guidance of c.30bp at OCBC, while UOB remains committed to its target of 32bp. The only exception is DBS, which could see higher average credit costs of 37-38bps over 2Q-4Q17, given that it has yet to recognise SPs for "specialised vessels". NIM should see incremental upside as SIBOR/SOR move up with the Fed funds rate. The banks have guided for 2017 average NIMs to remain flat yoy with two more US Fed rate hikes, which signals further upside in the coming quarters. Sequential improvement in GDP growth and a pickup in the property market should be supportive of loan origination. Mortgages remain the key driver of domestic loan growth, but business loans could pick up as more corporates seek overseas investments. Near term, non-NII could come under pressure. 1Q17 non-NII was boosted by higher wealth management income and trading after the market shifted into a risk-on gear. We expect the effects to taper off in the upcoming quarters in the absence of strong fund flows. 2018 could still see the tail end of chunky oil & gas provisions, as bonds come due. One large exposure that could move the needle is Ezion (US$1.3bn in net debt, incl. S$695m bonds due 2018-21), which we believe has yet to be classified as an NPL at DBS. Others with bonds due in 2018 include Ausgroup, Nam Cheong, PACRA.